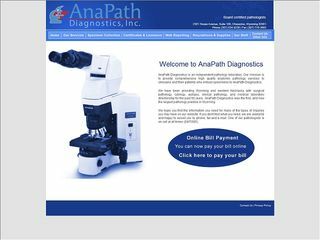 Description: Ana Path Diagnostics Inc is a business categorized under physicians & surgeons, which is part of the larger category offices of doctors of medicine. Ana Path Diagnostics Inc is located at the address 2301 House Avenue # 108 in Cheyenne, Wyoming 82001-3177. The Manager is Cindy Hegner who can be contacted at (307)634-9238. Location & access map for "Ana Path Diagnostics Inc"